Here We Go Again | Are You the Gatekeeper? Can we talk about the fact that it’s only four and a half months away? And that training started for it this week? And that the thing I’m looking forward to most about it is, masochistically enough, this? Right. That Tough Mudder. As to the first, no. Meaning, yeah, I’ve always got a schedule, save for the past three months. And the second? Well, I hope to. You see, this type of training is SO different from any other kind of training I’ve ever done. Mostly because it’s not just running. It’s….CIRCUIT training. Not just running. Not even running and lifting weights. CIRCUITS. And I have got to be honest. First time through the first circuit? Abysmal. Wretched. Just plain bad. Apparently my body forgot how to do pushups. I love pushups. I cried when the hand doctor told me I couldn’t do pushups with a pin in my finger post-surgery for finger break number one. This makes me sad. You know what’s crazy? Remember this girl? Taken in my living room, October 2011, the day before my first half marathon. Courtesy of my lovely mama. Yeah, her. The one who ran 13.1 miles in just about two hours flat. The one who was so cocky about her abs that she PUT THEM ON THE INTERNET. Multiple times. The internet. The never-dying, will-be-here-FOREVER internet. She’s…..buried. She’s buried under a layer of calzones and Berry Burst Ice Cream Oreos. Buried with complacency and an unsatiated love of naps. Buried, but not lost. Glimpses of her show up every now and then. She shows up in the smile that appears realizing that I’m SORE again. She’ll show up in the absolutely JACKED heart rate that I get every time I watch a Tough Mudder video. She’s not even slightly forgotten during a quick run when she shows up in the huge smile on my face. Last year I forgot who that girl was. This year I not only remember, I bring her back. Tough Mudder 2013, watch out. I’m coming for you. Unrelated, but no less important, for more pictures my awesome mom took, check out her photography blog (phoblog? Anyone else want Vietnamese food reading that?). 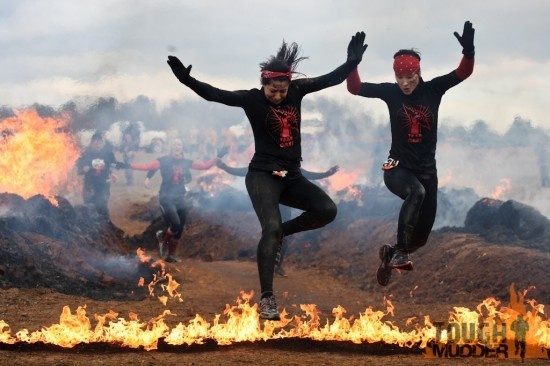 This entry was posted in Badassery, Determination, Running/Fitness and tagged Fitness, Tough Mudder 2013, Training by Ann. Bookmark the permalink. Buried, but not lost. I like it. 🙂 You’re going to crush that tough mudder.